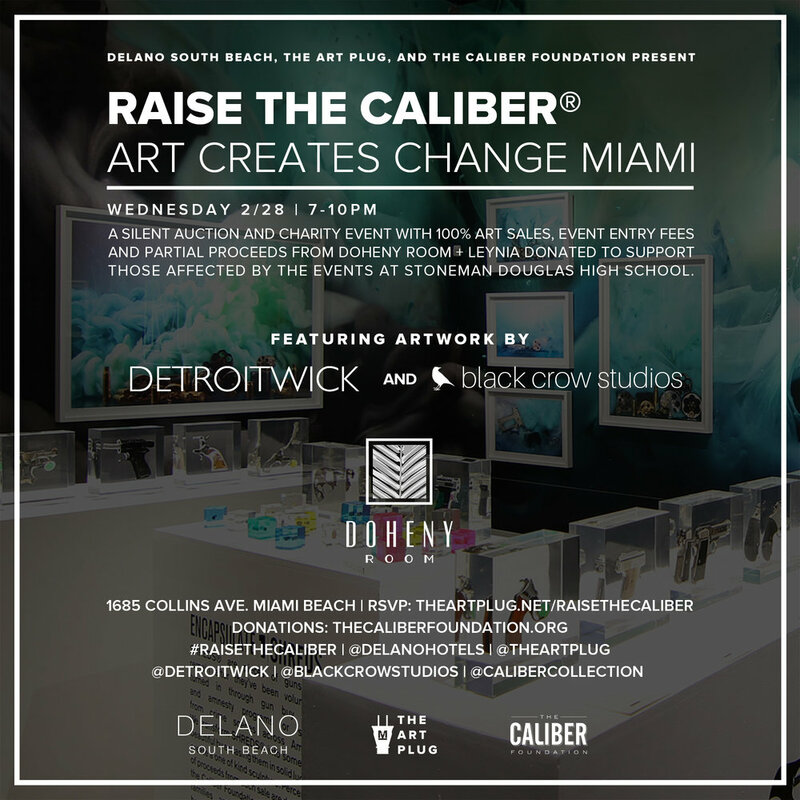 In light of the devastation caused by the recent Parkland high school shooting, Delano South Beach, The Art Plug and The Caliber Foundationhave joined forces to present Raise the Caliber®-Art Creates Change Miami, a charity art auction event on Wednesday, February 28th to support the Victims of the Stoneman Douglas High School shooting. Pictured is Black Crow Studios and DetroitWick's #RaiseTheCaliber installation at The Art Plug's "Mood Swings" group show at Oliver Cole Gallery in December 4-10, 2017. Taking place inside Delano's Doheny Room, the special event will host a silent auction featuring fine art prints by Black Crow Studios and Lucite sculptures by artist DetroitWick from his latest exhibition, Encapsulate1/SHREDS. 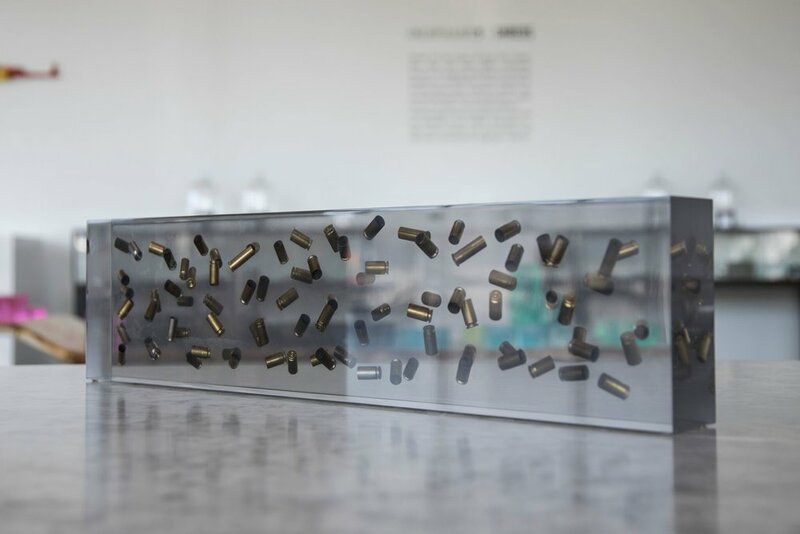 The provocative prints and sculptures on sale feature remaining gun parts that have been turned in through gun buyback, amnesty programs, or confiscated from crime scenes encased in slid Lucite. The artwork on display is curated by Marcel Katz of The Art Plug. 100% of the profits from the art sales, event entry fees and a percentage of Doheny Room + LEYNIA’s sales from the evening will be donated directly to victims of Stoneman Douglas High School shooting. Entry fee is $20/pp and includes admission to the silent auction. The first 75 guests will receive a limited-edition Caliber Collection® MTV X Caliber bracelet (Value $40.) Tickets can be purchased at the door. For more information, please call (305) 674-5742 or email delanoeats@sbe.com. RSVP at www.theartplug.net/raisethecaliber. Donations can be made online by clicking here for those unable to attend.